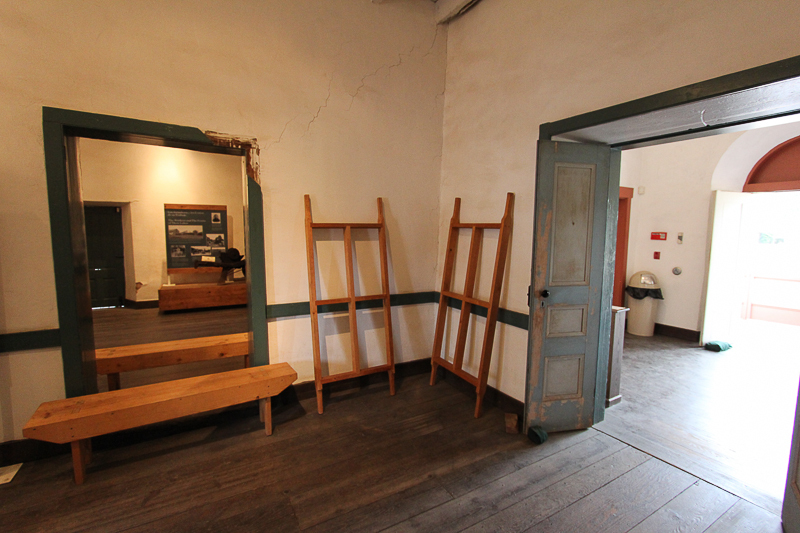 May 25, 2014 - Today's adventure brought us to Whittier, CA to see the Pío Pico State Historic Park. Pío de Jesus Pico is one of California’s most remarkable historical figures. He witnessed, shaped and influenced nearly a century of California history in the 1800’s. Pío Pico was the governor of California in 1832 and again in 1846 before and during the Mexican-American War. He was the last territorial governor of Alta California (now the State of California) under Mexican rule. In 1848, the Treaty of Guadalupe Hidalgo ceded Alta California to the U.S. 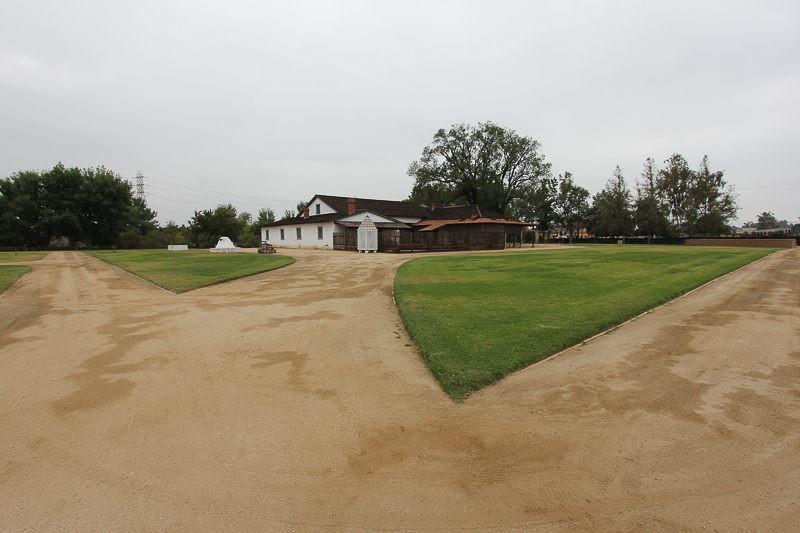 This five acre park encompasses historic gardens and the beautifully restored adobe home of Pío Pico. It is registered as California Historic Landmark No. 127. A bell marks the original El Camino Real, which passed directly in front of the park during Pío Pico’s time. 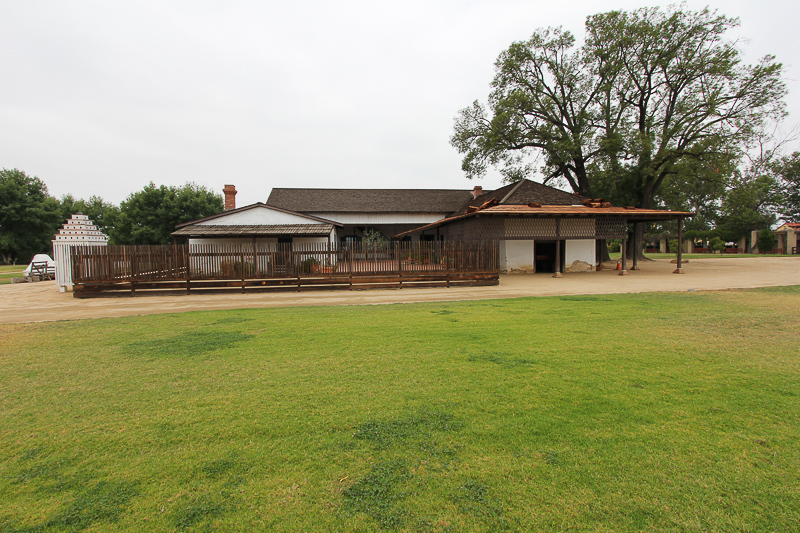 The park was once part of Pío Pico’s 9,000 acre ranch, Rancho Paso de Bartolo. This was Kathy, our tour guide, showing us the exposed adobe bricks in this room. These are the types of forms used to make adobe bricks. Each form made four bricks. After being sun dried, the bricks were laid with the big flat side down and when stacked three deep, would produce a wall about six feet thick. 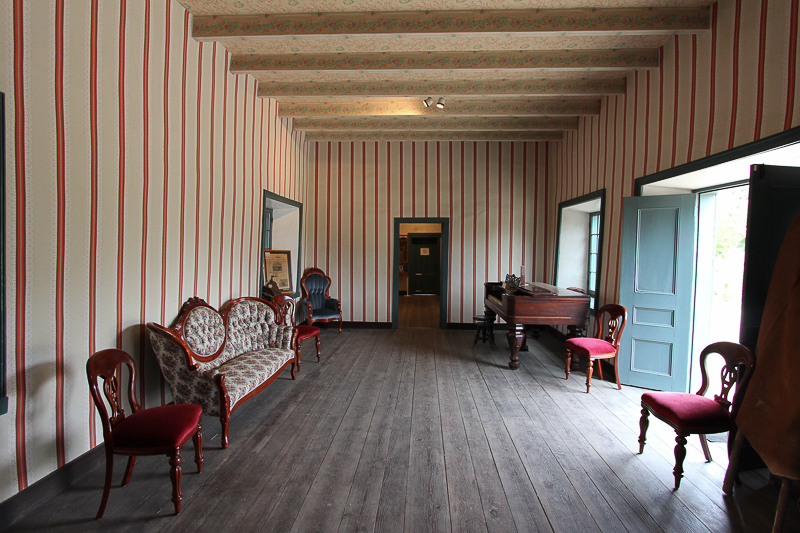 This is the sala (living room) decorated with original and period pieces to replicate what it looked like when Pío Pico lived here. 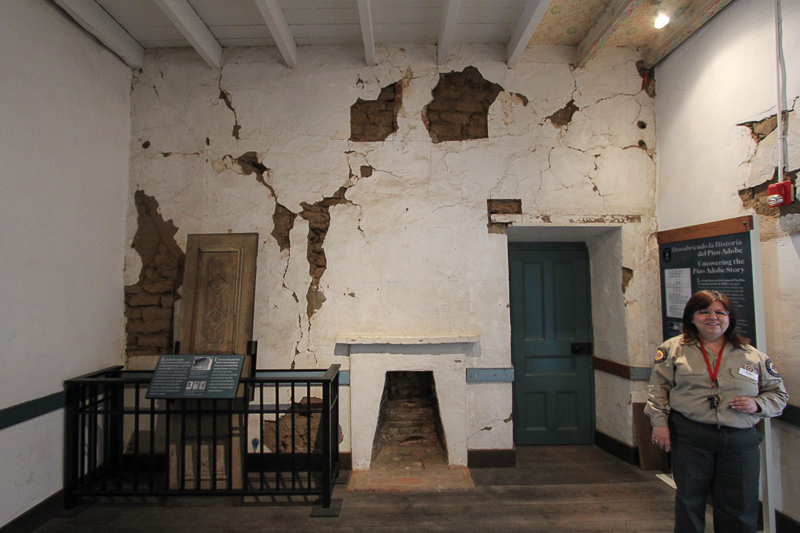 Construction of the adobe, which Pío Pico called "El Ranchito," took five years, from 1849 to 1854. 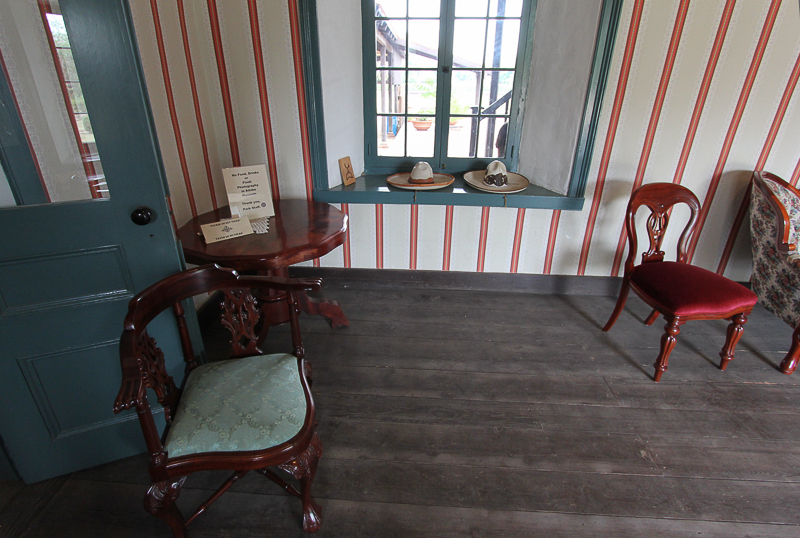 The chair in the bottom left is called a "cowboy chair," since a cowboy could comfortably sit down without removing his guns. From the window you can see that the adobe wall here is about two feet thick. 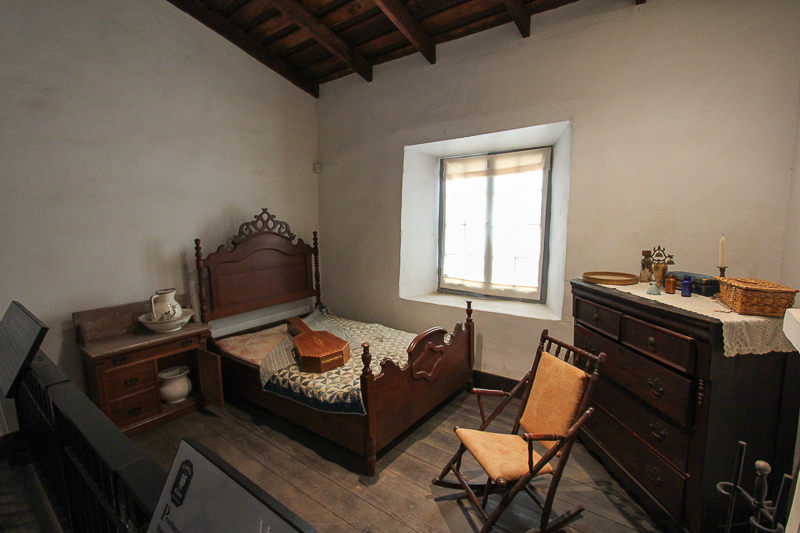 This is a typical bedroom, of which there are many. 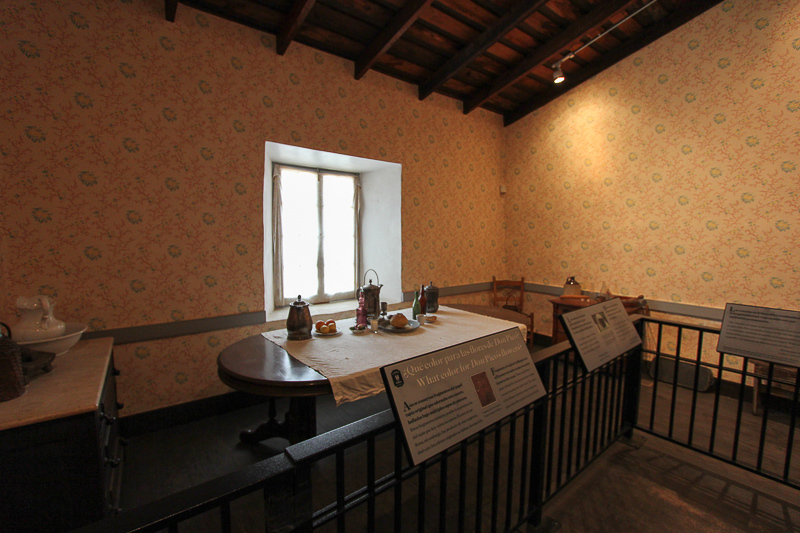 This is the dining room with Pío Pico's original dining room table. There are ten leaves for the table, so for big celebrations, the table with all of the leaves inserted would probably be brought into the sala to accommodate a large gathering. These trees were here when Pío Pico first built his home. 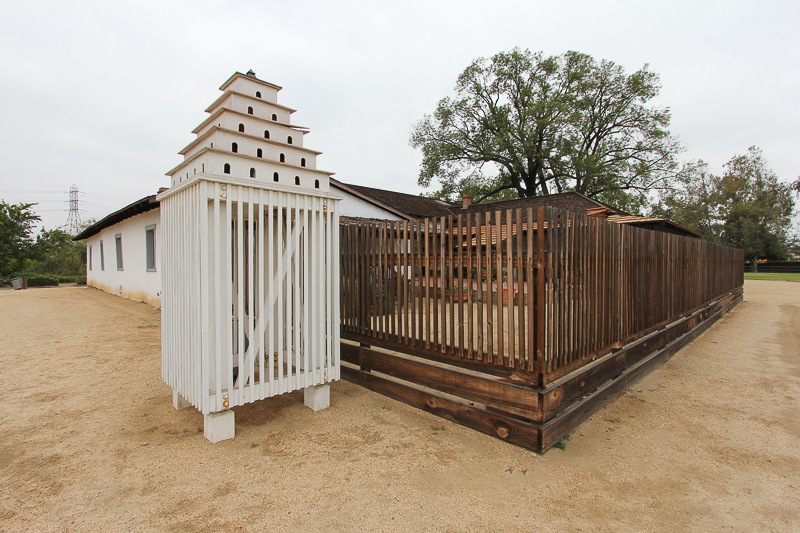 This is called a dovecote, which was home to a large number of cooing doves. Even though it's now 160 years old, it has held up well thanks to many restorations that have occurred here. 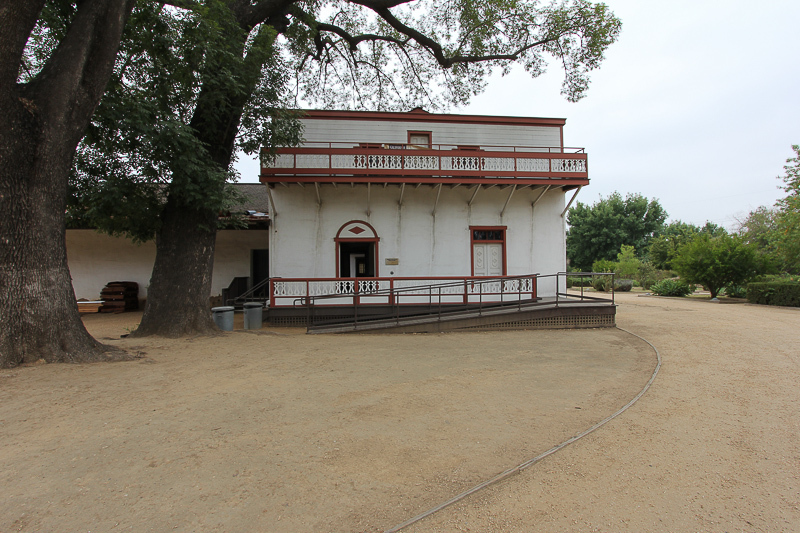 Flooding in 1867 and 1884 severely damaged the Pico adobe and washed away much of Pico's arable ranch land. It also eroded much of his wealth. Pico's advancing age, costly legal cases and shady business partners triggered a series of financial setbacks. In 1891 Pío Pico was evicted from El Ranchito. Once known as one of California's wealthiest men, he died penniless at age 93 in the Los Angeles home of his daughter, Joaquina Pico Moreno, in 1894. After the tour it was time for lunch, which we really enjoyed at Lascari's in Whittier. Judy had their Penne alla Vodka and I had their Eggplant Parmesan. The bonus of the meal was the dessert, fresh gelato! Judy treated herself to the chocolate chip and I indulged in their fresh raspberry. It was wonderful!